Unlike humans, animals – even if they are our pets – are not comfortable wearing shoes! (Obviously!) And so, their feet are often exposed to bacteria and fungi while walking, playing, or running in dirt and grass! We can’t make them wear slippers and not at all keep them away from the ground. Even a small split or torn nail opens up the nail bed to germs which can cause nail infection and weaken the nails of our pets. 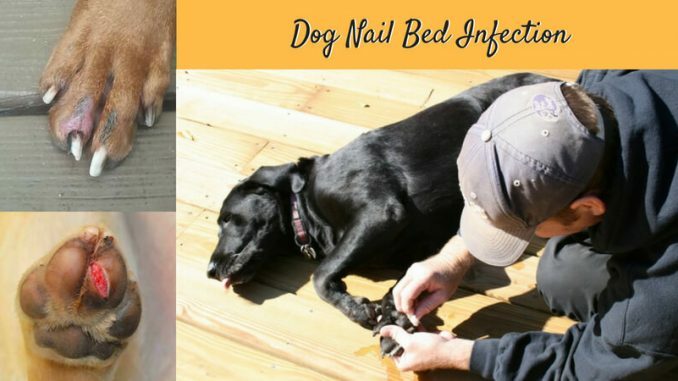 In this article, you will get A to Z information about the symptoms, causes, and treatments of dog nail bed infection. An infection can turn healthy nails into some worst-colored and bad smelling nails, so it is always better to prevent such cases than finding the cures afterward. To maintain hygiene and cleanliness is the primary thing to do to keep any infections away. But if your pet has anyhow got the infection, stay calm and understand it for its faster and better cure. 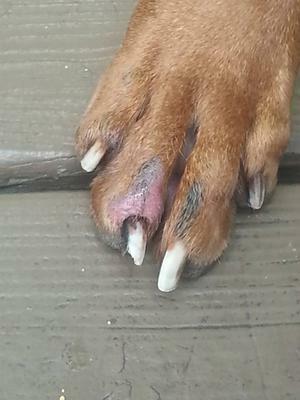 Why Dog’s Nails Turn Black? When you see that your pet’s nails are turning black, that means he has some abnormality or disease which is affecting the claws or the surrounding area. It is commonly known as dystrophy which causes inflammation around the nails. Black nails are one of the symptoms of nail bed disorders. Being owners, we must not ignore even a small symptom as canine nail and claw issues may be the result of something simple like fungal or something severe like cancer. So, whenever you realize that your favorite pooch is suffering from any of the symptoms stated above, visit your vet as soon as possible. Early intervention may provide fast relief to the dog. Some people believe that small accidents like cutting slightly into the quick by dog nail grinder/clipper can also put the dog at risk of infections, but it is not always right. Although to be safe, we should clean the area with lukewarm water to remove dirt and take certain after-care so that we can avoid the dog to hurt his nails with dumpsters, glass litters, or sharp objects. There are many treatments and home remedies available which can help your dog with curing the nail bed and dew claw infection. 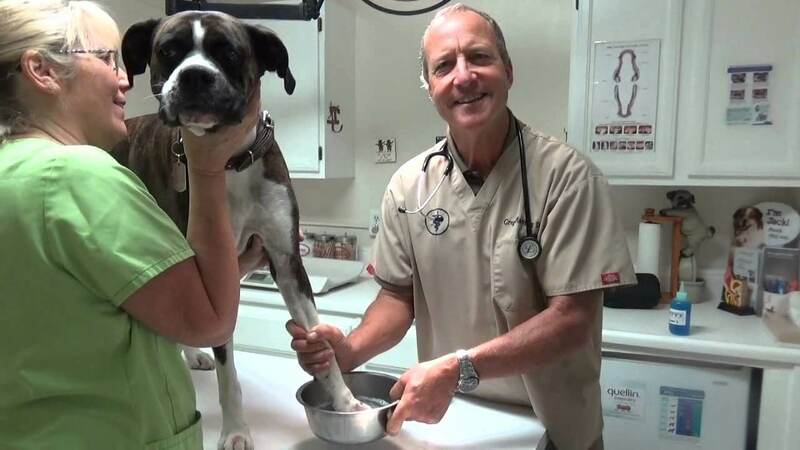 If you decide to visit your vet, then, first of all, he/she conduct a physical exam and take a small part of the infected area for further examination. There are many antibiotics, anti-inflammatory, and antifungal medicines available for the infections. The vet can also prescribe some creams or medicated bandages to reduce swelling. In some severe cases, it becomes mandatory to remove the nail plate partially or entirely for better treatment. If there is a case of tumor or cancer, then the most successful treatment is to remove the affected area, whether it is a nail or the whole toe. You may find this idea horrible, but it is the best possible way to stop cancer from spreading. In such cases, early diagnosis is very much important. If the cancer is diagnosed at its later stage, then there are some other options like chemotherapy. So, these are some common symptoms, causes, and treatments for the dog nail bed and dew claw infection. The bottom line is that it is essential to observe the dog’s behavior and if you find out something fishy, then rush to the vet. Also, it is compulsory to observe your dog’s progress once you have completed the whole course of treatments. Dogs try their level best to hide their pain in front of the masters, but as they are our beloved babies, we must hear the unexpressed pain.